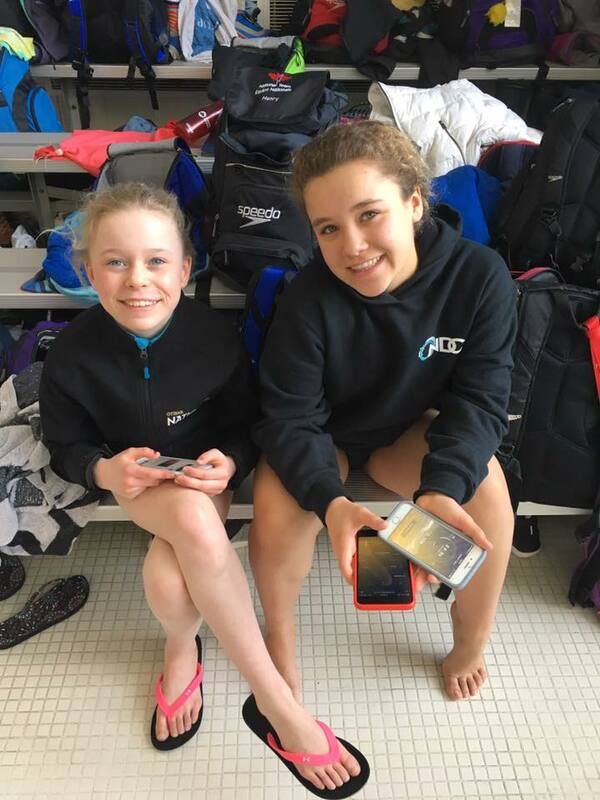 The Ottawa National Diving Club has returned from its first weekend of competitions in March. We have a competition every weekend this month featuring both our national and provincial level divers all across the country. Our first stop on the list was London Ontario for the Ontario Spring Provincials. We brought a team of 6 athletes to the competition alongside coach Brennan and coach Rolando! With this competition beginning mid-competition season, our goals for the competition are still very straight forward. Do your best to achieve your national standards and for our newer athletes to make at least one new friend. We know that your diving friends become some of your best lifelong friends and its important to us to encourage this. Our youngest athletes dove in the C1 (12 years old) category. Charlee-Mae and Emmanuelle began their competition on platform and what a start it was! Emmanuelle crushed her list of 9 dives putting in her first ever national score on platform. Not only did she get her score it was 110% of the standard which in diving means she is now full qualified on platform and can attend her first national championships in her diving career! Charlee-Mae was not far behind finishing in 3rd place in prelims and achieving her 2nd national standard solidifying her place at the 2019 junior development nationals! Over the course of the weekend Charlee-Mae also made finals on every event. She needed to finish in the top 4 in her age group to accomplish this feat. Congratulations Charles and Mani on a great competition! Catherine and Audree competed in the C2 (13 years old) category. They began their weekend on platform as well. Both of them advancing to the finals and achieving their full national standards earning their spots at the 2019 Junior Development Nationals. 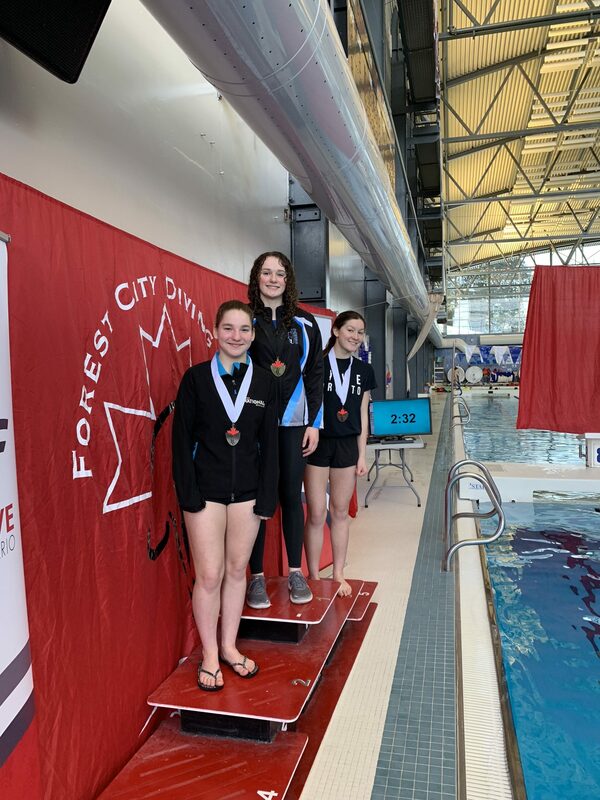 Catherine went on later that day to top the podium and earn her first GOLD MEDAL of the season on platform for the C category. Audree over the weekend, went on to earn her standard on the 3m springboard as well. Congratulations girls on a great competition! Our two oldest athletes are Kathryn and Talia. 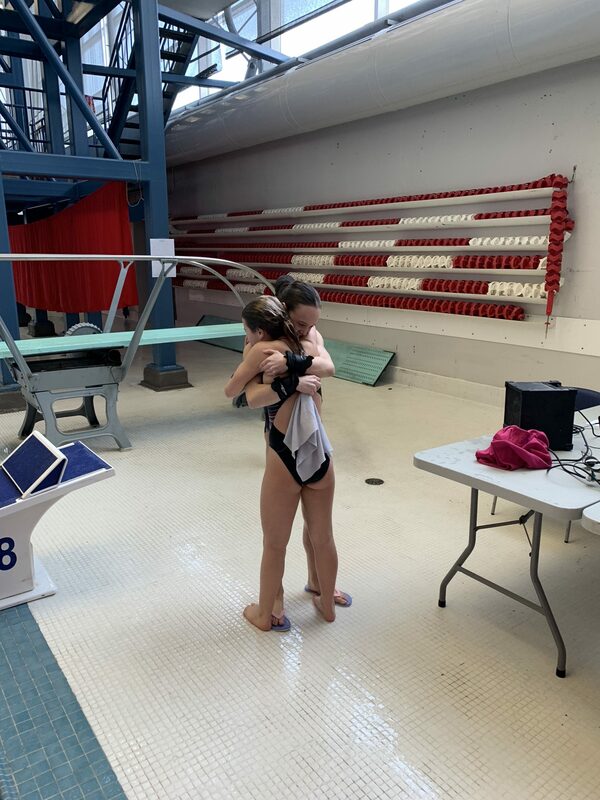 Kathryn finished her weekend earning all her national standards with ease and had the opportunity to debut her new twisting optional on the 3m springboard. Talia’s highlights of the competition came on the 1m and tower events. She finished her 1m event with a SILVER MEDAL and achieved the national standard on tower for the 3rd time this season. She had the opportunity to compete in the Open tower event on Sunday where any age can compete for a chance to earn a senior national standard. Talia debuted her Open Tower list in style competing the most consistent list her coach has seen so far this season. Congratulations Kathryn and Talia on a great weekend! 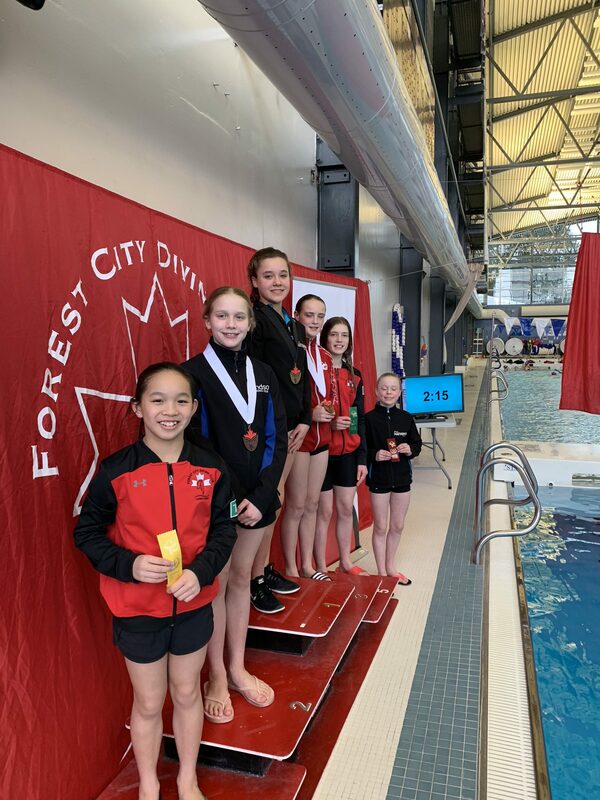 A big thanks to the Forest City Diving Club and Dive Ontario for hosting a great competition and to our parents and coaches for a great weekend! On March 7-10 stay tuned for results from Victoria BC as Kathryn Grant and coach Brennan travel out west to attend this years Dresden Trials!